Some Disney scans are courtesy of parkpennies.com. 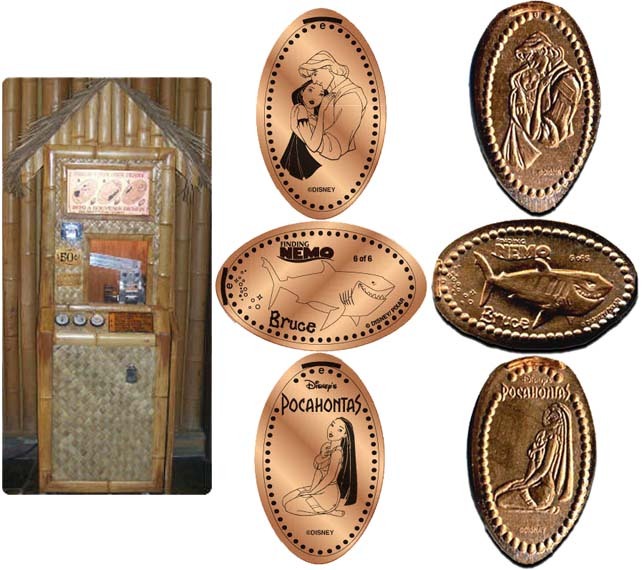 For more Disney elongated coin scans, detailed information on Disney designs and Elongated coin news about Disney designs and other Disney items, please visit ParkPennies very comprehensive site. The Port Orleans Resort is located in the Magic Kingdom area and is on the monorail route. 1) Polynesian Lilo HCOE quarter. thegillion added Polynesian Resort to system.